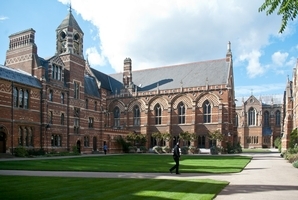 The latest phase of student accommodation refurbishments are now taking place at Keble College Oxford, the works have now moved into Pusey Quad on the campus. With our tried and tested shower pod solution already installed in many other student bedrooms throughout the College Advanced Showers are ready to complete a further phase for 2015. A mixture of both corner cubicles & alcove showers pods has been supplied to accommodate the different floor layouts of student bedrooms and shared bathroom facilities.